Jessie Livingston and Reverend A.B. Watson. The charter members were: William Livingston, Carmel Glenn, Jessie Livingston, Reverend William Sharpton, T.J. Marrow, Martha McCutcheon, Jane Livingston, M.E. Livingston, E.C. Livingston, Emmaline Glenn, Lucinda Inman, Eliza Livingston, Lucy Lott, Martha B. Livingston, Hester Mccutcheon, Jane NeSmith, Elizabeth Marrow, and Mary Ivens. Some of those named were among the first settlers in this part of the country long before the War between the States. At the close of the War between the States, the settlers all up and down Ryan's Creek began meeting together and talking about how good the Lord had been to them, and God sent preachers that they might know about his love for them. Many of these old settlers are buried in the cemetery, including the founder, Jessie Livingston, his wife and brother. The original church was built of logs on land that was donated by J.H. Jacobs and his wife. Later a frame building was erected on the site which was later moved to Walker County when the present building was erected. Memorial Day Services have been held the second Sunday in May since May, 1881. The people would meet around ten o'clock, have a song and a prayer and then have recitations by the children. There was no organ or piano so there was band music and singing. At eleven o' clock the Memorial Day Sermon was preached and afterwards lunch was served. Someone who had been selected would have charge of the singing in the afternoon which would last until 3 o'clock. Some years ago there was an agreement in the days of Reverend J.H. Lott, a Methodist minister, and Revered J.H. Harbison, a Baptist minister, who were leaders in the community, that they would alternate the Memorial Services, each one would select their speaker for the Memorial Day sermon. Through the years the cemetery had been kept by the community, and about this time a committee was elected to see to the up-keep of the cemetery. Reverend Whit Harbison, Gene Sharpton, R.B. Hyatt and Major Miller. E.B. Mauldin served as secretary. Through the faithful efforts of these committees the money and labor were obtained and the building completed, a beautiful brick veneer and block building was ready for services. On Sunday, October 9, 1960 a huge crowd attended the singing and cornerstone unveiling at Livingston Chapel, which was followed by and abundant lunch served on the new tables which had been built under the large oak trees. The congregation then gathered in the house for some of the best singing that had been heard in this part of the country. Singers were from various communities of Cullman, Winston and Walker counties. The Methodists, Baptist, Nazarene, Church of God and other denominations from various parts of Alabama, Mississippi, Georgia and Tennessee had contributed money and labor toward the building of a very beautiful and comfortable place of worship and in which to hold funerals. The cooperation of all denominations had been wonderful to see. tables. 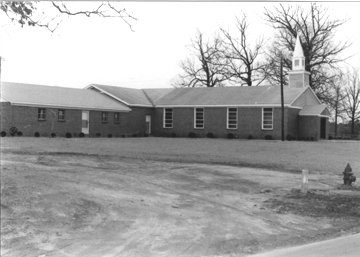 They also landscaped the grounds and a new church sign was erected in the front of the church this year (1977). In 1997 a complete remodeling and building addition of the sanctuary was made in order to add additional space for growth. M.C. Thomas, Willie Parker, T.M. Bailey, John D. Holland, J.P. McDermont Thomas N. Kitchens, Marvin Henderson, P.U. Green, M.S. Palmer, W.G. Rhodes, W.J. Pinegar, Homer Parvin, A.M. Jones, Grady Woods, L.B. Brown, Charles R. Wallace, Amos Murphree, Thomas E. Giles, Henry E. Louis, L.C. Johnson, J.L. Fincher (1961-62), Leon Chandler (1962-66), Gordon D. McCurry (1966-68), Audie Gregg ( 1968-70), Melvin Garrett (1970-71), W.W. Crews (1971-73), Clarence Nelson (1973-77), J.C. Willingham (1977-78), Carl Essmon (1978-82), Leon Chandler (1982-83), Hershal Burkett (1983-87), Keith Pope (1987-91), Gene Cagle (1992-93), .T.R. Aycock (1993-94), Ron Gilbreath (1994-2007), Eric Bell (2007- 2010), Dr. Kenneth Graham (2010-2013), Ron Collett, (2013- _____). 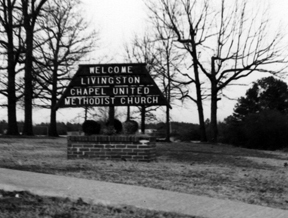 Livingston Chapel United Methodist Church continues to grow. We know have 253 (active and non-active) members. We have worship service every Sunday morning. edification of His people. May the Lord bless everyone who has contributed to his bit of history, to wit: William B. Mauldin, U.S. Lott and S.J. Calvert. 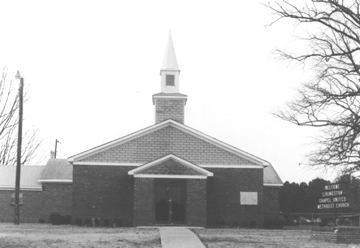 The first Homecoming Services were held in August 7, 1977. Reverend Homer Parvin, a former pastor brought the message. Many former members attended and a delightful lunch followed with singing in the afternoon as has been a tradition through the years. History submitted by Carmel and Audit Sharpton, August, 1977. The future of America is now in our hands. We write our portion of history by the way we maintain the teachings of Jesus. We need your help to carry forward the work of our grandfathers and their fathers before them. 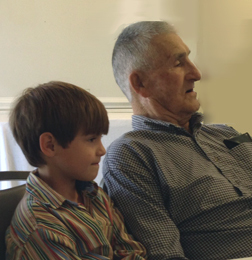 Photos shared by Mrs. Louise Stewart. Thank you! !